Should Hackney Council regulate landlords? 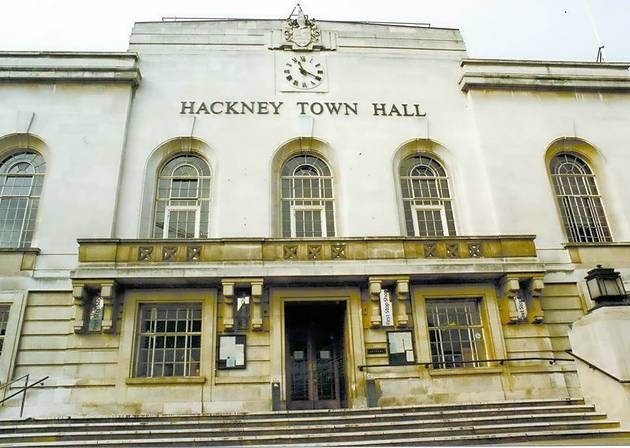 Should Hackney Council regulate landlords like in Newham? This is the question being put to you, residents of Hackney, by the Hackney Council Scrutiny Commission. Click here to respond to the public consultation on landlord licensing. Digs submitted evidence and views to the consultation, based on our experiences as a group of private renters supporting one another and what we’ve seen happening in Newham. In Newham it’s now against the law for any private landlord to be without a licence and they could be fined up to £20,000 if they were found to be renting out properties without a licence. We believe Hackney Council should follow suit. It’s not that we think the licensing scheme in Newham is perfect. In fact we have some serious doubts about how licensing is actually translating into better protections for renters. Part of the issue seems is that once landlords are licensed, there doesn’t seem to be enforceable minimum standards on the quality of properties or how landlords treat their tenants. And like most London councils, Newham Council don’t have the resources to properly enforce laws against landlords. They’re relying on high profile prosecutions to encourage landlords to comply. And there have been doubts cast over the motivations behind Newham Council embracing licensing, which could have less to do with a desire to support exploited renters and more to do with plans to target illegal immigrants. Licensing would reduce the burden on Hackney council. The only real power the council has over problem landlords is to bring criminal prosecutions which requires vast resources; it can take a year to collect enough evidence to bring just one landlord to court. Trials rarely result in a conviction and when they do, punishments are too light to act as a genuine deterrent – one south London landlord recently found guilty of physically assaulting a tenant was fined just £400 and was allowed to continue operating as a landlord. Compulsory licensing would take the process away from criminal courts and into civil courts where landlords could have their licenses revoked and be hit by fines up to £20,000 which could work as a genuine deterrent. Licensing would raise the awareness of both tenants and landlords about their rights and responsibilities. Many of our members report surprisingly high levels of ignorance on both sides: landlords are still unaware, for example, of their duty to protect deposits while tenants are unaware of their right to stay in their home throughout the eviction process. Many landlords are negligent purely from ignorance; currently, councils have to spend time and resources informing landlords that like any other business, there are laws that apply to them. Licensing would give the council a much clearer picture of what is happening in Hackney. For the most part Hackney’s private rental market operates under the radar of local government. The council don’t know how much rent people are paying, what types of tenancies they have or even how many landlords are operating. These are questions that the council will be able to answer properly for the first time. When Newham introduced mandatory licensing it expected far fewer than the 30,000 applications that have since been made ten months in to the scheme. How can the council make effective housing policies if they know so little about what’s happening in Hackney ballooning rental sector? Licensing will reduce ‘churn’ in Hackney. Many of our members have been forced to move house every six months for several years. Often, this is the only way to deal with a problem landlord who refuses to carry out repairs or increases the rent well above inflation each year. All of our members want to be responsible residents, to be friends with their neighbours and to build ties in the community. The current renting system doesn’t allow this. One of the arguments you hear time and again against landlord licensing is it would force landlord to “go underground”. What does this actually mean in a rental market where what little regulation there is goes unenforced and any tenants standing up for their rights can simply be evicted? There is no “ground” for landlords to go under! So now is our chance to let Hackney council know what we think about landlord licensing. The consultation ends of the 2nd December – get your views in quick! If you live in a house of multiple occupation (HMO) – an entire house or flat which is let to 3 or more tenants who form 2 or more households and who share a kitchen, bathroom or toilet – then your property should already be registered. Click here to find out more about HMO licensing in Hackney. If you want to find out whether your home is registered or if you think it isn’t call Hackney Council Private Sector Housing on 020 8356 4866. Tags: Hackney, Policy. Bookmark the permalink. I am about to go to China for a year and am just looking into what I need to be able to do this. These licensing regulations, both the cost and time involved are putting me off. The result it probably that my house will stay empty rather than let for 12 months. And the result of that is higher rents in hackney as there is less supply. So it is easy, regulation does increase quality but at the cost of higher prices. That should be clear to both tenants and landlords. what do you mean when you say – tenants didn’t meet the licensing conditions? I understood it to be the Landlord’s responsibility, as they’re the one who’s licensed not the tenant? It is possible for some regulatory schemes to have perverse incentives, that could work against acheiving the aim – in this case ensuring landlords meet basic standards, but i’m not clear how you think licensing could do this? Can you give an example? what part of licensing was it that caused tenants to loose their home as a result? I am a Landlord. When Newham announced Licensing, certain groups of tenants were asked to leave their home (mainly to meet any licensing conditions). Licensing will hurt some tenants. The likes of Newham don’t want to admit it (because they want to say how great Licensing is). Shelter has turned a blind eye. Hackney Digs claims to support tenants, but I find it hard to believe given your support for Licensing. It occurs to me, perhaps wrongly you are so blinded by hatred of Landlords, that you don’t care if some tenants in Hackney loose their homes, so long as you get Licensing. You seem to think, Licensing will stop churn, it does not. Landlords and letting agents have to take a zero tolerance approach. We have a tenant who is living like a slob, has been sent warning letters, but we have to evict now. Because, if Newham Council turn up (announced), they will claim we took no action and put a case that we gave the property in this condition. Licensing won’t stop rent going up, as the Licensing fee have to be covered and any other regulations. In the Newham pilot scheme, they asked for layout of the property, so an architect was needed to draw up plans and tell the council where each person was sleeping. When Environmental health turn up to a property, they turn up with bulked-up officers from the UK Border Agency in full body armour. One has to ask what housing has to do with immigration?. The agenda is quite clear. Nehwam Council smeared Landlords. It claimed lots of rogue landlords, but they have issued 30,000 licenses and only refused 362. One has to ask why they did n’t go after the rogue landlords in the first place. Let’s be clear what you mean, Mr Anon. By ‘certain tenants were asked to leave their home to meet licensing conditions,’ you mean YOU told them to leave, didn’t you? You didn’t have to, you know. If you were providing a decent, safe home in which humans could enjoy a reasonable standard of living, then you would have had nothing to fear from licensing. You could have simply got your licence and allowed your tenants to carry on living in their home. And the cost of a licence is very small, relative to the profit a landlord makes from his or her business. All other types of profit-making businesses do it without too much fuss: restaurants get licenced so we know they’re not letting rats run around in the kitchen, pubs get licenced so we know they’re not pouring poison in the beer, gyms get licenced so we know people aren’t going to die using faulty equipment. All pretty reasonable, considering human health and life comes before profit. Those business owners don’t punish their users for it. Why should a rented home be any different? Evidently, 30,000 landlords think it’s still worth their while to stay in business. Maybe if you really don’t like doing business in Newham, you could sell your business to one of them? They might not mind meeting basic standards. Or, you never know, someone might want to buy it as a home to live in! Or turn it into social housing! That certainly wouldn’t be causing homelessness, would it? By the way, the UK Border Agency is not Newham Council. If you’re confused between the two you must be baffled when the bin men come each week. And what are they doing Tarmacing all those pavements, eh? It is quite clear from your response, by slurring me, you are trying to disguise the fact that ‘some’ tenants will loose their homes. There was nothing wrong with my property. I am sure you know that, but you rather bury your head. It is the tenants would not have met the Licensing conditions, rather then the property. The same will happen in Hackney (if and when) Licensing is introduced. You seem to think no one will loose their home, but some tenants will. (I can’t tell you which category of tenants, until I see Hackney’s final proposal). When some tenants loose their home. Their blood will be on your hands and I just hope Hackney Digs, is grown up to accept responsibility for the part it played in eviction of these tenants. You have not replied to any one my points, other then to twist them around.